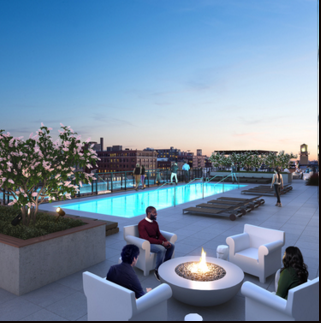 The Parker’s new West Loop apartments bring sleek sophistication and convenience to a hub of art galleries and innovative restaurants. Located in the heart of one of Chicago’s most vibrant neighborhoods, The Parker is just steps from great spots like Soho House, Au Cheval, and Momotoro. Kitchens feature quartz countertops, deep stainless steel sinks with Insinkerator disposals, and a tiled backsplash. Custom kitchen cabinetry includes soft close drawers and kitchen islands with counter height seating. Secondly, in the bathrooms you’ll find LED lighted mirrors, elongated water closets, and quartz vanity counters. Step through a frameless glass shower door to elegant Grohe finishes. Bathrooms include rainshowers, handshowers, and tiled flooring. 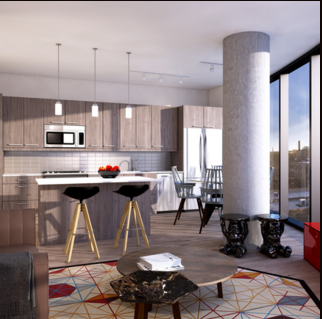 Custom features included for your comfort and convenience include Nest thermostats, indoor car parking with Tesla & Electric charging stations, smartphone controlled building access, and minimum 9-foot ceilings. The Parker’s 1,100 square foot outdoor dog patch and indoor dog shower ensure that your dog can feel right at home, too. 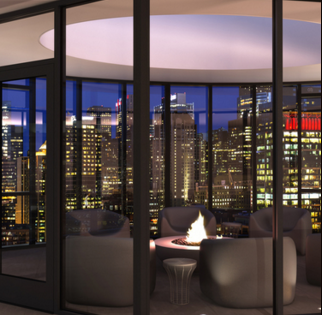 Furthermore, enjoy the view of the Chicago skyline from your personal balcony, through floor-to-ceiling windows, or on the terrace. The sun terrace includes a pool, daybeds, a firepit, and grilling area. From the fitness center’s smartphone integrated cardio equipment and yoga studio, to the luxury spots on the common floor, you’ll never need to look far to find a relaxing way to pass the time. Finally, recreational amenities feature a library, drawing room, coffee bar, and private dining room. 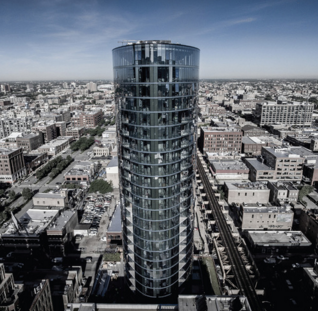 Want to learn more about The Parker, new West Loop apartments? Then call us or stop by our office at 180 N. Wacker. We’d be happy to keep you in the loop!